MIT rolled out its much smaller “Longhouse” design the week of Aug. 6. Boston's MIT students and researchers are doing their thing. The academic brain-trust at the Massachusetts university has contributed to society's progress in impressive ways and, perhaps, less august ways — the oxymoronic all-terrain wheelchair comes to mind. 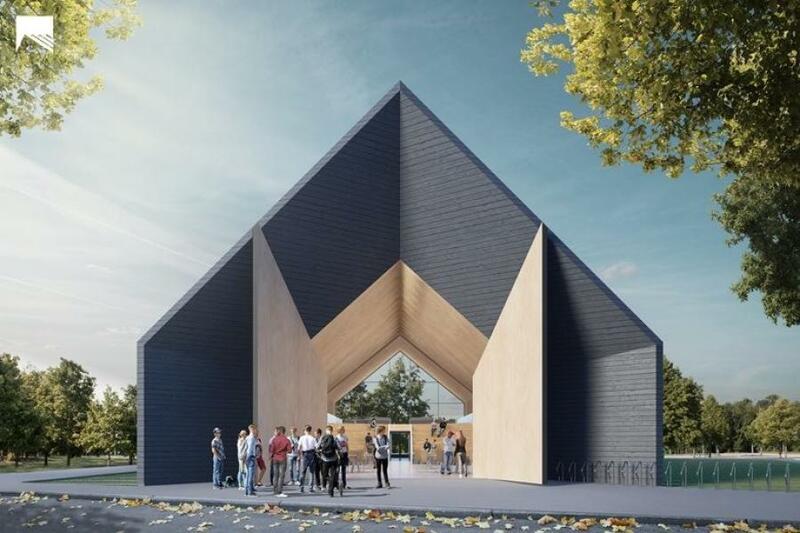 Now an MIT architecture class has come up with a design for a wood building. That's it? A building constructed of wood? That's a little underwhelming. Wood buildings have been around a while, probably including the three-bedroom bungalow you grew up in. The oldest wood building according to Guinness records is a five-story wing of a temple built of wood in Japan back in 607 AD. More contemporary structures include a 12-story mixed-use building in Portland, Ore., that is primarily of timber construction and an 18-story dorm in Vancouver, currently the tallest timber building. 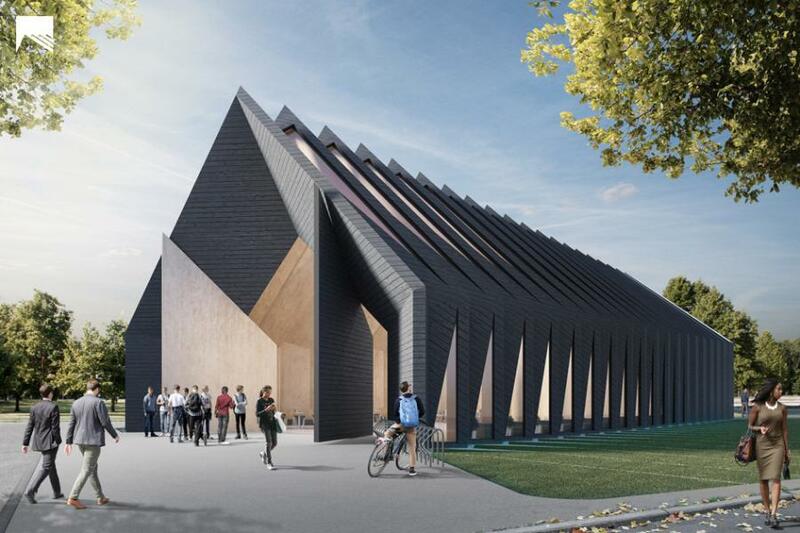 Still, MIT rolled out its much smaller “Longhouse” design the week of Aug. 6, and will present the design at October's Maine Mass Timber Conference. The method of construction is touted as environmentally sustainable because using lumber as it envisions reduces the emission of greenhouse gases compared to a comparable building constructed of concrete. Furthermore, trees capture and utilize carbon and when the timber is turned into a building, the carbon stays captured. Specifically, the MIT design employs wood veneer, which is laminated into panels six inches thick — sounds a lot like heavy-duty plywood — from which arches are constructed. The arches are fashioned into vaulting walls, creating an open space beneath without internal structural supports. The intricate MIT design produces a handsome community meeting place. The MIT achievement clearly is more about environmental sustainability than about construction. According to the university engineers and scientists, the “Longhouse” method of building lessens the depletion of natural resources compared to some competing construction methods and also reduces greenhouse emissions. All good news! Let's have a shout-out about that! However, it won't be a unanimous shout. The arcane science of long-term environmental solutions is not settled. Just in terms of trees, there is not unanimity. Some say, clear-cut forests and replant, thereby using environmental-friendly timber and reducing forest fire dangers! Don't harvest trees at all, others insist. Rather, let them absorb CO2, fall to earth and rot into the ground to naturally reinvigorate the soil! And so on. So the debate continues. Earlier this decade, a Santa Clara University faculty member and a steel industry representative researched the question, “What's the most CO2-friendly method of building a home?” If you guessed their answer was “steel,” you're right. The team developed a “CO2 index” and compared the impact of constructing a ranchhouse of wood, of concrete, and of steel. In the end, the comparison ended up with a steel CO2 index of 1, concrete 1.52 and wood 4.44, the lower the number the better. Then there is the insulated concrete form (ICF) industry. It builds walls of buildings using polystyrene — Styrofoam, in a word — that are then filled with concrete and left in place. The wall is, as mentioned, insulated so that energy costs are reduced. What's more, the forms themselves are manufactured from recycled materials and are 100 percent recyclable at the end of their useful life. An insulated concrete form brand, RASTRA, also did a CO2 impact test, factoring in recyclability and energy costs, and concluded that — surprise! surprise! — ICF is the most environmentally friendly construction material. So there is plenty to shout about, all right, with all these competing construction industries and researchers going at it head to head. We lay people have neither the knowledge nor the inclination to worry too much about the debate. Even construction industry professionals can't get too caught up in the sustainability debate. They are too busy building today's infrastructure and housing to worry overly about tomorrow's. But they are monitoring it. 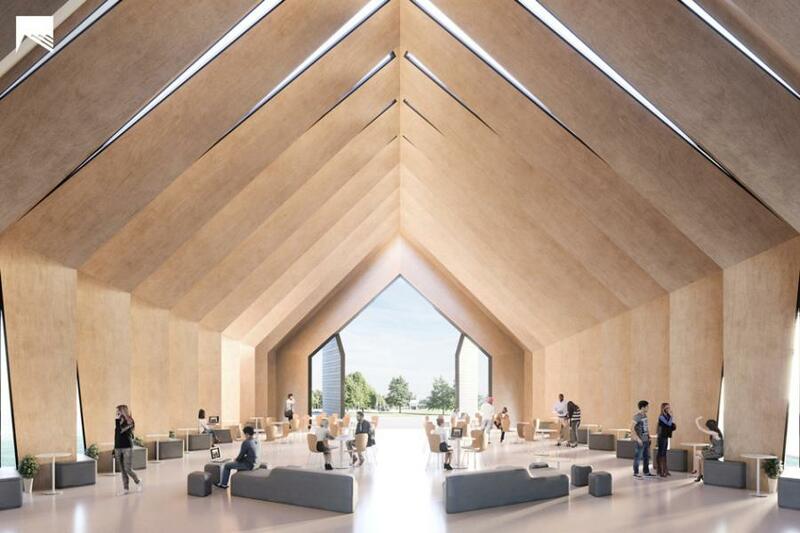 When a clear-cut most sustainable construction method is identified, or when interim methods of building green are proven to be long-term solutions, the industry can be expected to embrace them and incorporate them into their business plans. After all, this is their world, too.